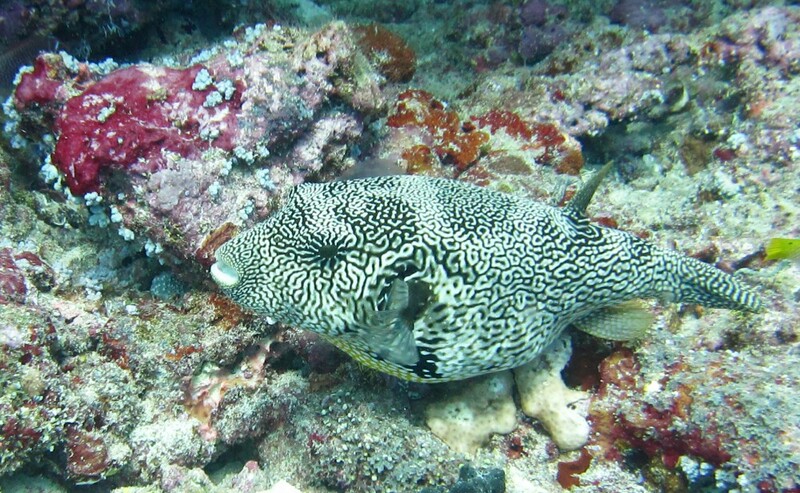 Porcupine fish (Diodon liturosus), with spines on its body to discourage predators at Thudufushi Thila. 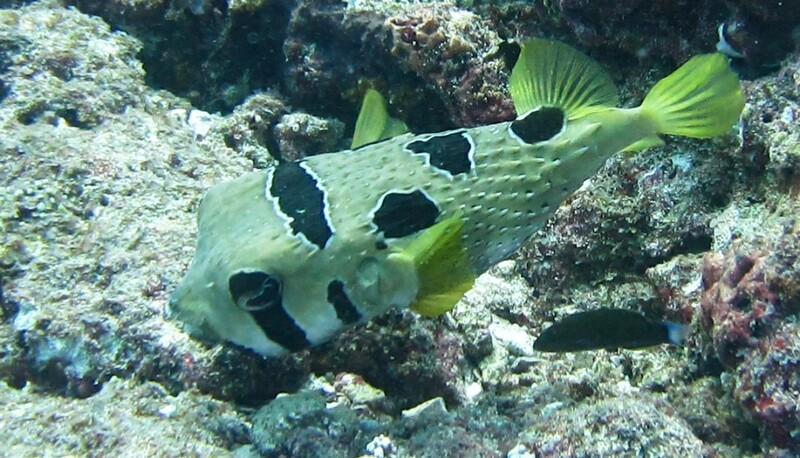 A Map puffer (Arothron mappa) with its distended yellow belly also at Thudufushi Thila. 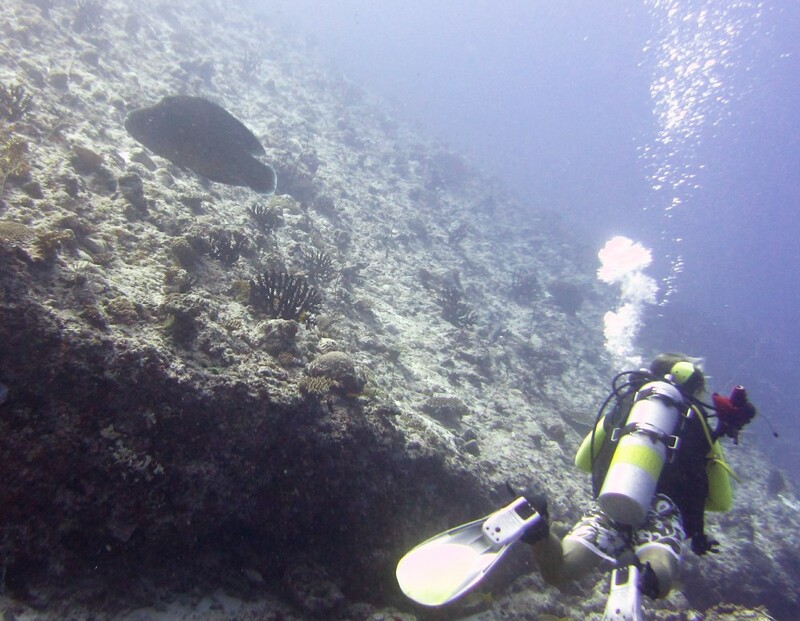 A medium-sized Napoleon wrasse (Cheilinus undulatus) passes by in Moofushi Kandu. 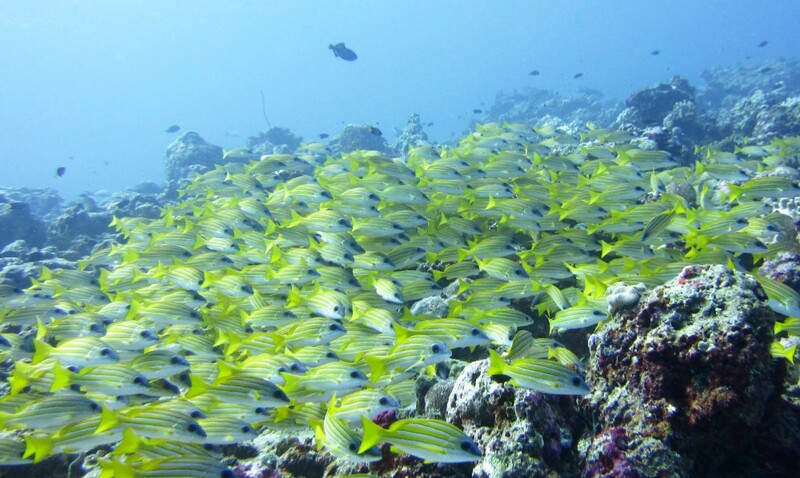 A school of Blue-lined snappers (Lutjanus kasmira) shelter from the current at Maavaru Corner. As do these Humpback or Paddle-tail snapper (Lutjanus gibbus), while a Parrotfish tries to photobomb me. 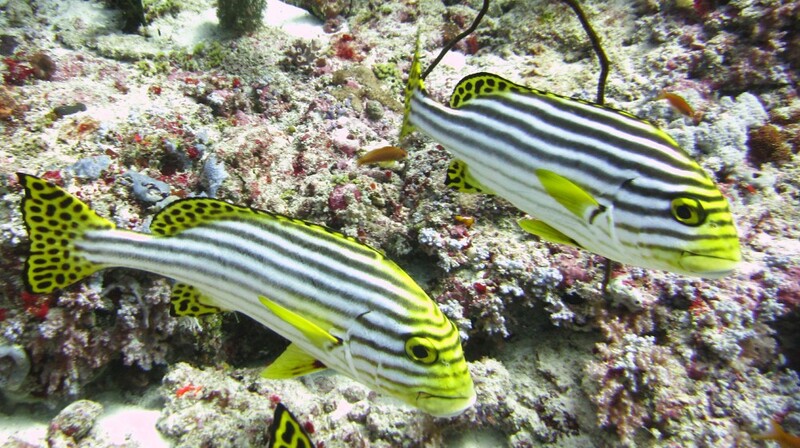 A couple of Oriental Sweetlips (Plectorhinchus orientalis) pose at Himandhoo Thila. 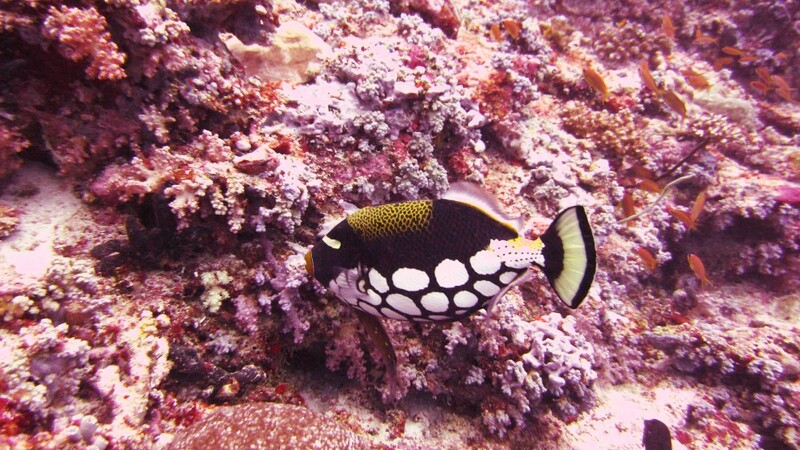 A Clown triggerfish (Ballistoides conspicillum) in front of gorgeous soft corals at Thudufushi Thila. 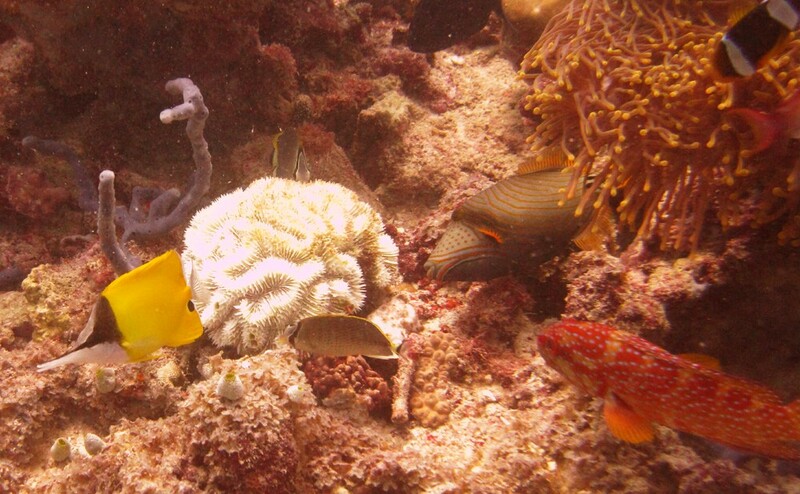 The photo doesn't do the colourful corals justice. 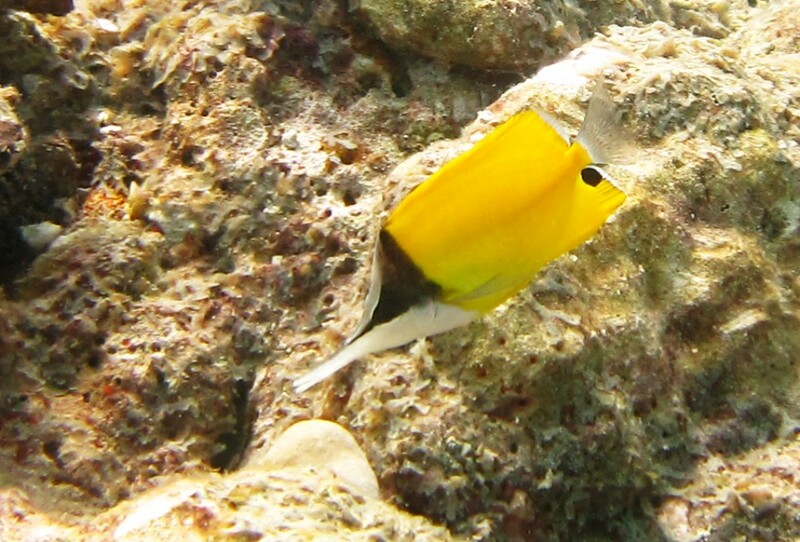 These small Long-nosed butterfly fish (Forcipigger flavissimus) are difficult to photograph - they are shy, and dart away as soon as you get close. I managed to get this one at Kuda Miaru Thila. 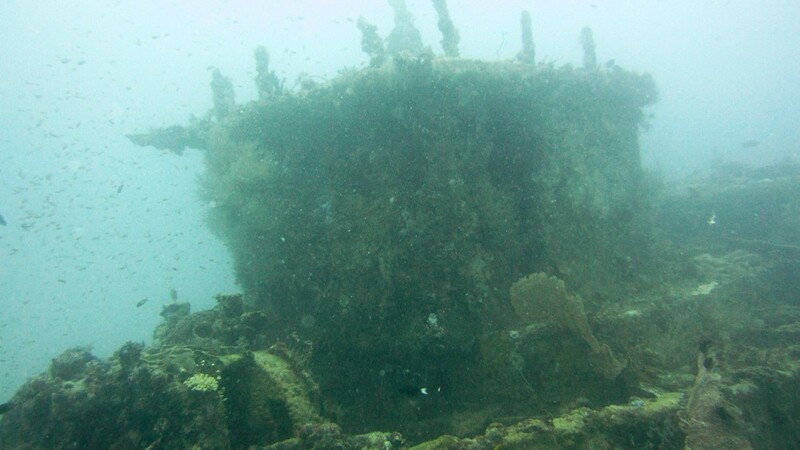 The remaining photos were all taken at Fesdu Wreck. Here the wheelhouse looms out of the murk at 25 metres. The wreck is thoroughly encrusted with all kinds of corals. 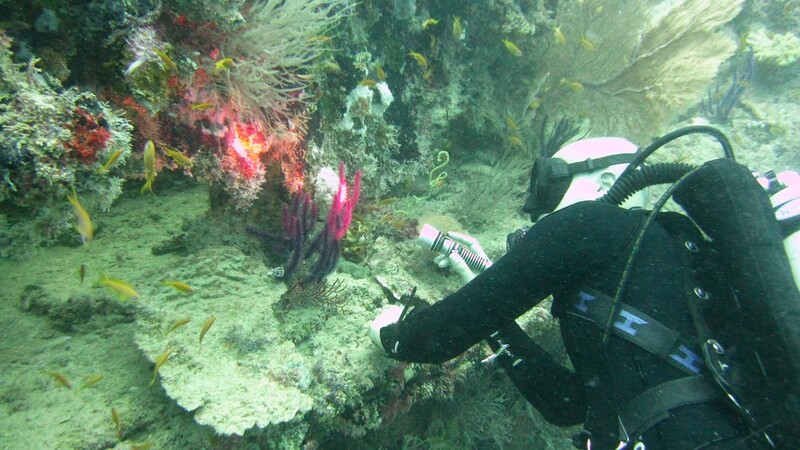 The dive leader's torch brings out the true colours of the corals. 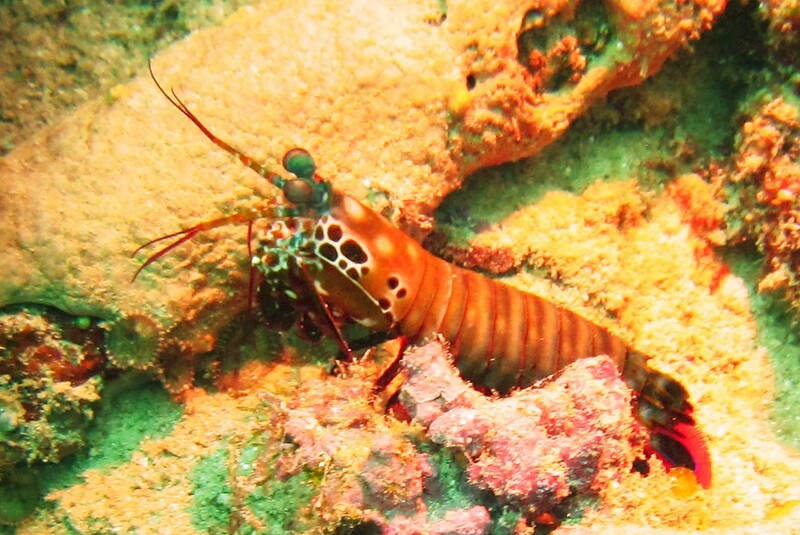 A Green Mantis shrimp (Odontodactylus scyllarus), about 15cm long, caught in the light from somebody's torch on the wreck. 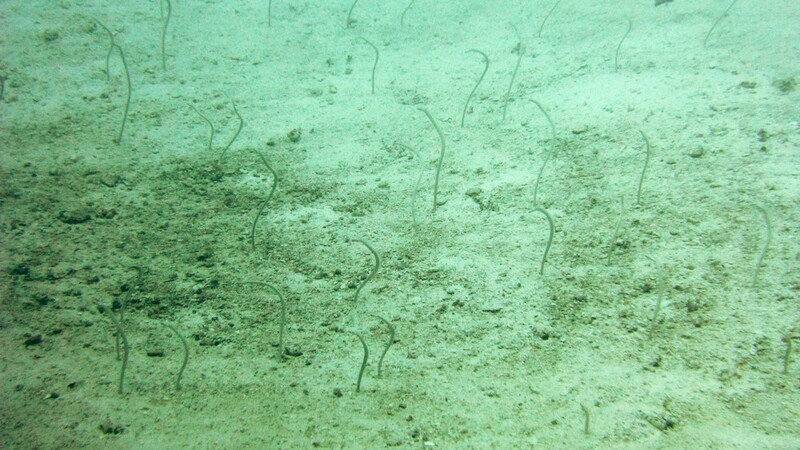 Part of a large group of Whitespotted Garden eels (Gorgasia maculatus) at 30 metres near the stern of the wreck. 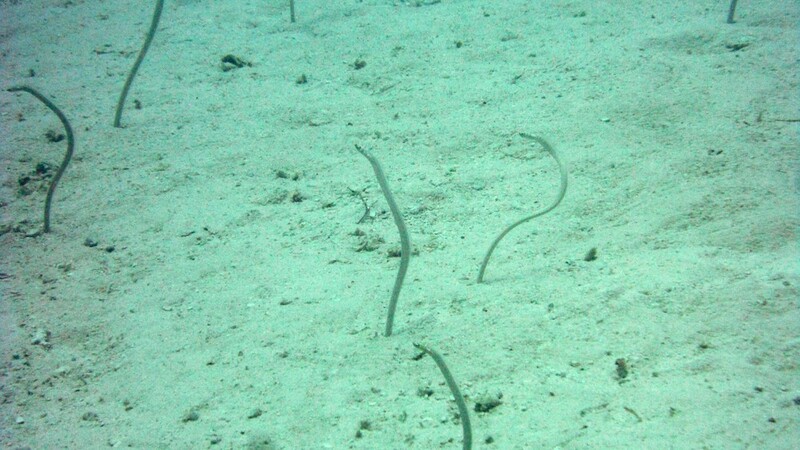 They reverse back down into their holes and disappear as soon as you get close. 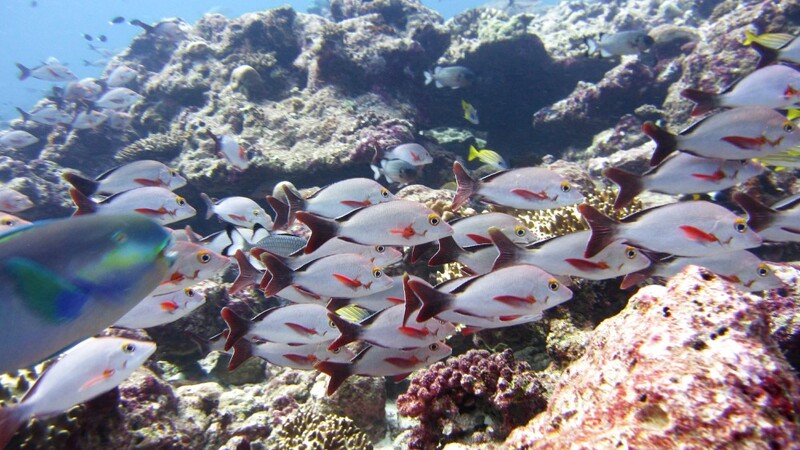 A pretty group of assorted fish on the reef near Fesdu wreck.